Now, would you like a quick snack for tea time or while glued to novels or your favourite shows on TV? 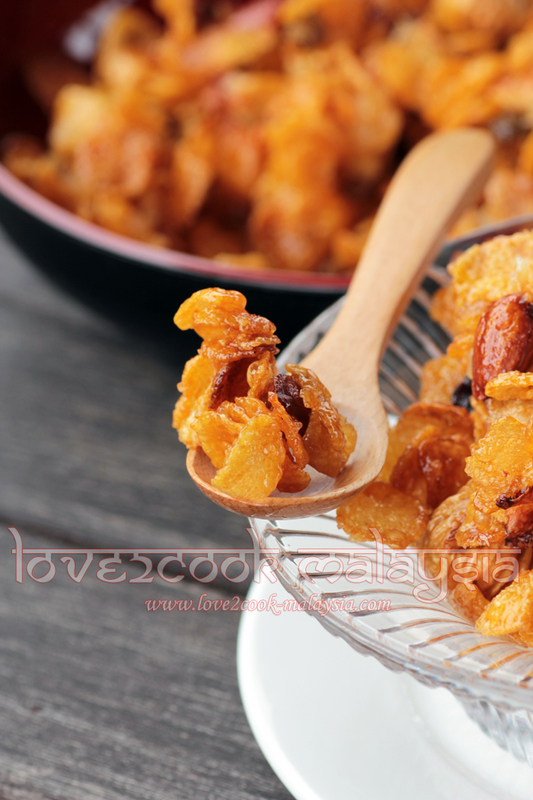 Then, try this simple Sticky Cheesy Corn Flakes. 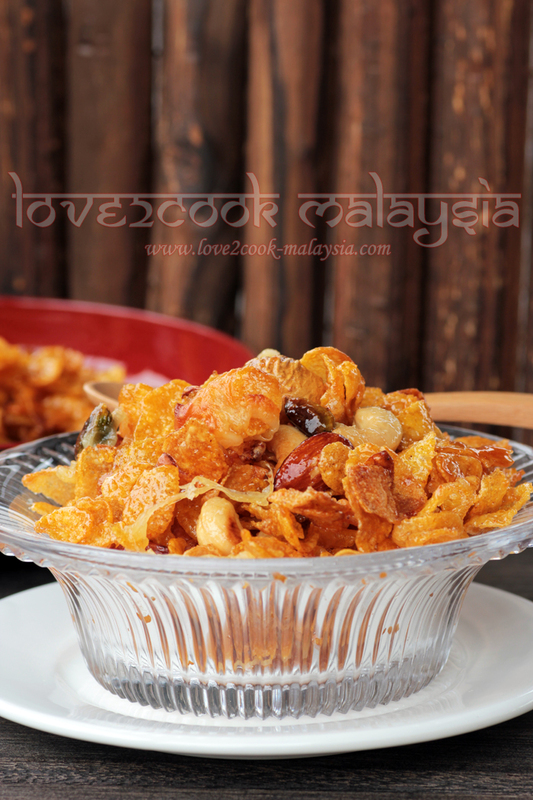 For the recipe, I referred and made few adjustments to my previous Honey Corn Flakes. In a heavy bottomed sauce pan, melt butter together with sugar, and honey. Add chilli sauce and mixed nuts. Stir and turn off the heat. Mix in the corn flakes, stirring evenly. Spread the mixture on a nonstick baking tray. 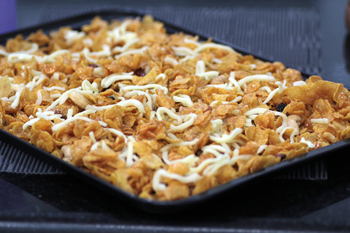 Sprinkle mozarella on the corn flakes mixture. Stir a little. * You may choose to omit the mozarella. * You may also fill the corn flakes in individual paper cups and add mozarella before baking. 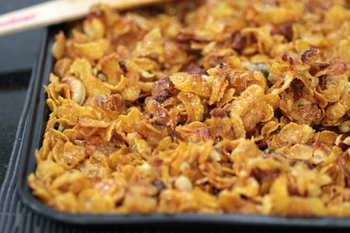 Cornflakes looks so tempting n inviting too.Thanks for visiting by my space. I glad to follow u. 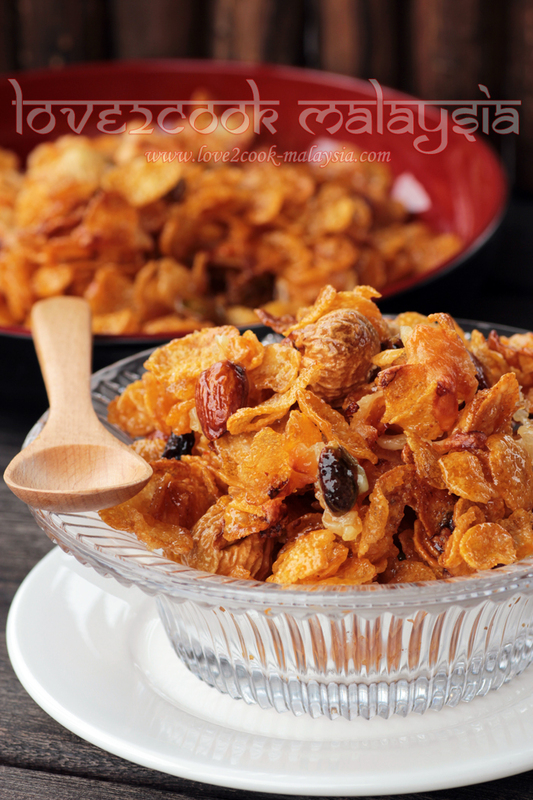 Corn flakes look simply tempting and tasty. Nice different idea, chilly sauce with cornflakes..
Iam tired of corn flakes da, its gonna be six months now since i stopped eating it. Your savory version with cheese is so tempting. Guess i should consider eating them again. Nice recipe dear. Es una delicia saludable gran idea,abrazos y abrazos. 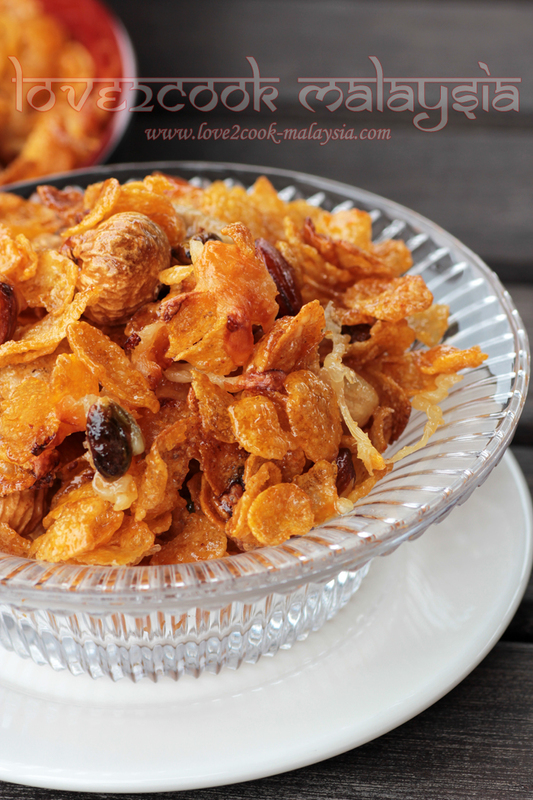 Love the cheesy twist to the old simple corn flakes! What a wonderful flavor combination! I love salty sweet snacks. Thanks for stopping by At Home with Rebecka and leaving your comment! 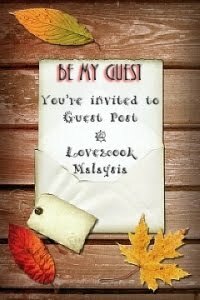 I'm now following your blog!